A giant Chinese construction firm is teaming up with a UK housing association to deliver 25,000 pre-fabricated homes over the next five years. The UK Government has helped to broker the deal that will see the China National Building Material Company build six offsite factories around the UK. Five pilot schemes are set to deliver a total of 2,000 homes next year, with production ramping up to 25,000 homes per year by 2022. The joint venture aims to introduce a modular housing type, based on designs pioneered by Spanish specialist Barcelona Housing Systems, to transform the pace of the delivery of new homes in the UK. 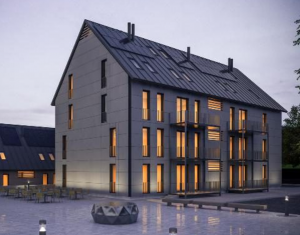 The modular housing will use precision produced cold-formed steel framing and modern composite materials to deliver units that are low carbon and energy efficient in both their construction and in their operation.